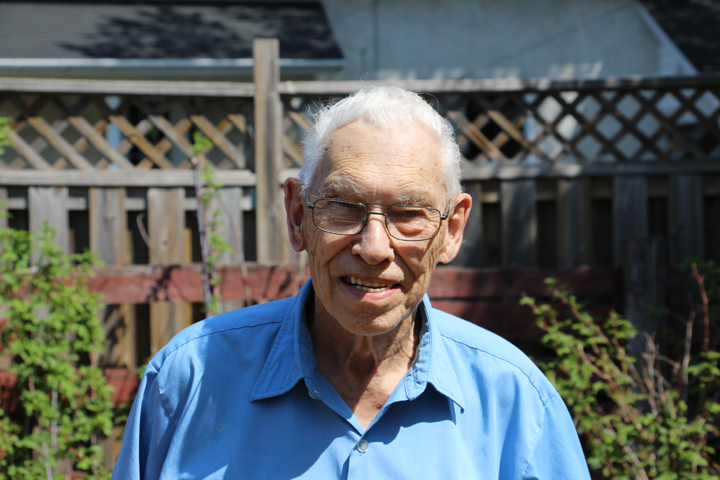 BARRY’S BAY – Wilfred Broughton enjoyed his 100th birthday celebration at his home last Saturday with his family. He was delighted to have a surprise visit from Mayor Kim Love, bringing a certificate from the township to go with the one from the Governor General. It is his family he cherishes most. One of his poems, It’s your choice, was put to music by the gospel singer, Bruce Frye, who used to sing with Hank Williams Jnr..
Broughton was born May 19, 1916 in the Township of Windham close to the town of Simcoe, Ontario to farmer parents Emerson and Ada Broughton. Broughton was a single child until he was 17 when his mother gave birth to twin boys, LeRoy and LeRoss. He stayed on the farm until he married Edna Johnson.